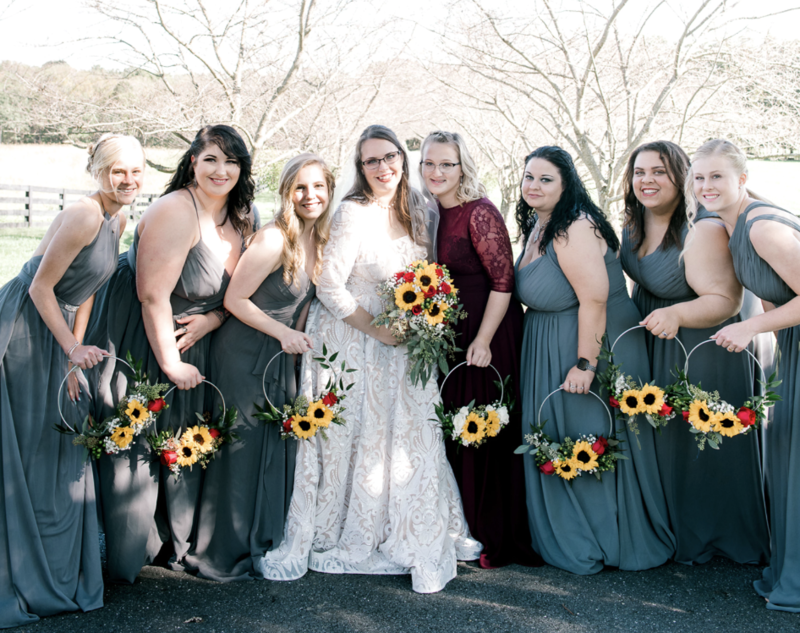 For 18 long months I planned, and planned, and planned my perfect dream wedding. I thought the day would never come. 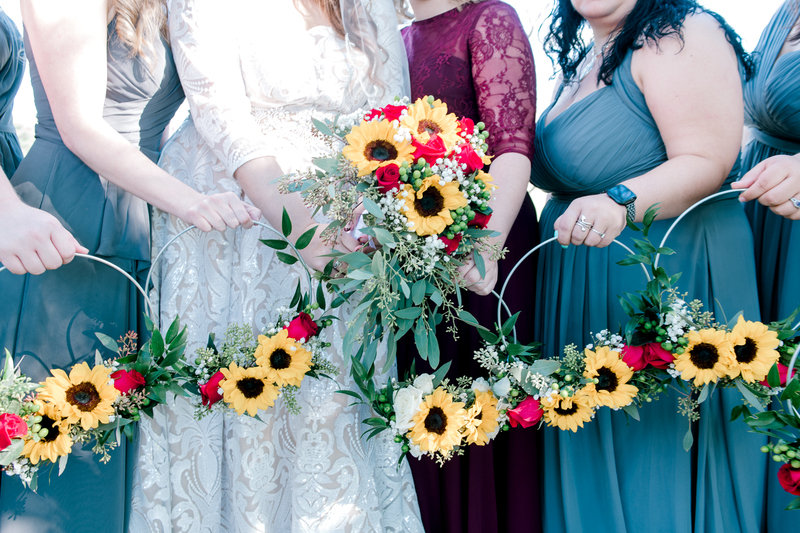 My now-husband, Trey, proposed to me in January of 2017 and as soon as the ring hit my finger I hopped on Pinterest searching for inspiration, joined Facebook wedding planning groups, and talked colors, flowers, dresses, and more with my bridesmaids. One of the most important aspects of wedding planning that Trey and I agreed on was that we wanted to take it slow and steady. Because of the nature of my illnesses, we could not afford to let me get overwhelmed and stressed out so much that I wouldn’t enjoy the process or the special day. The process is a lot of fun! However, I still found myself drowning in unwanted stress. “But it’s good stress,” everyone told me. And it was, much of the time. I loved planning my wedding and arranging all the lovely details that I had dreamed about since I was a young girl. I loved most steps of the process: finding our perfect venue, stepping into my perfect gown, picking out my perfect flowers. It was all wonderful, but also extremely overwhelming and I had many moments where I wanted to back out of it completely and fly far away to a remote island with only my husband by my side to elope. 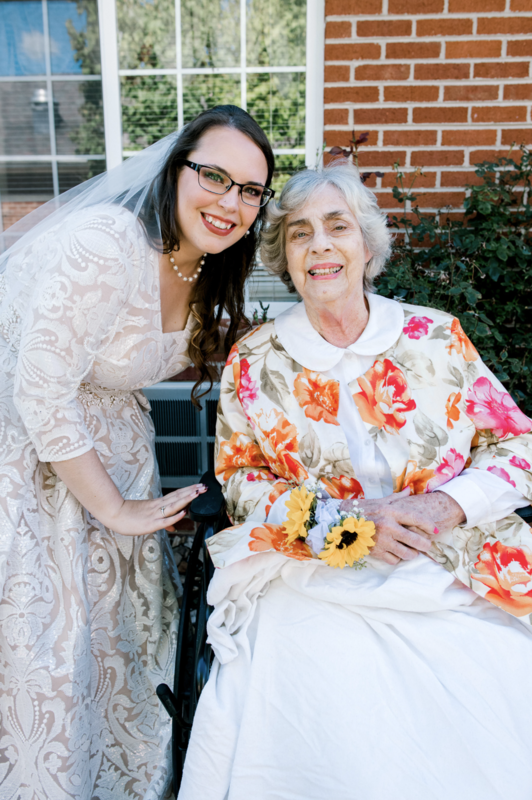 I’m sure many brides go through this, but it’s not every day that a bride is also deeply burdened by her poor health; a laundry list of chronic illnesses. I experienced a major spike in my chronic pain, flare-ups, and migraines combined during this 18 month period. My mood was impacted as well. It was NOT always pretty. The big day finally arrived and I felt surprisingly GREAT that morning as I awoke. 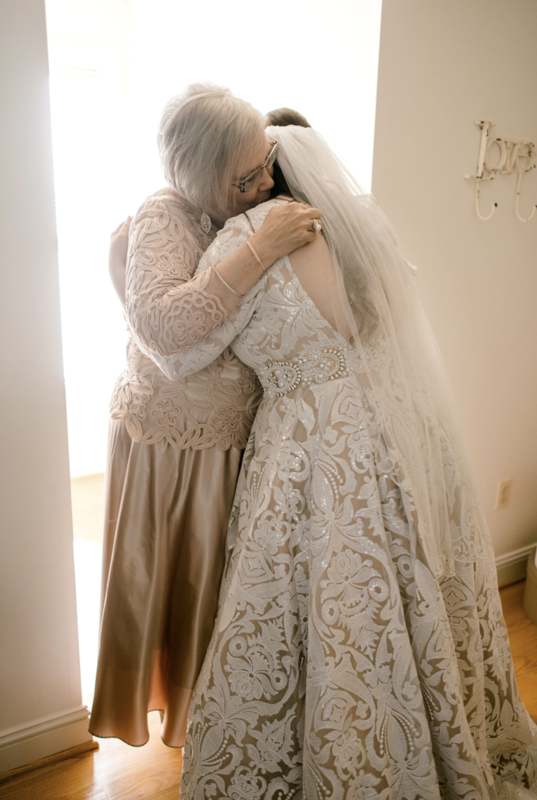 I ate a hearty breakfast, had a fun time with my bridesmaids in the bridal suite doing hair and makeup, singing and dancing to our favorite 90’s jams, and even made it through that ever-emotional first look with my husband and a visit to see my Granny in the hospital, as well as about an hour of posing for portraits before the ceremony ever began. 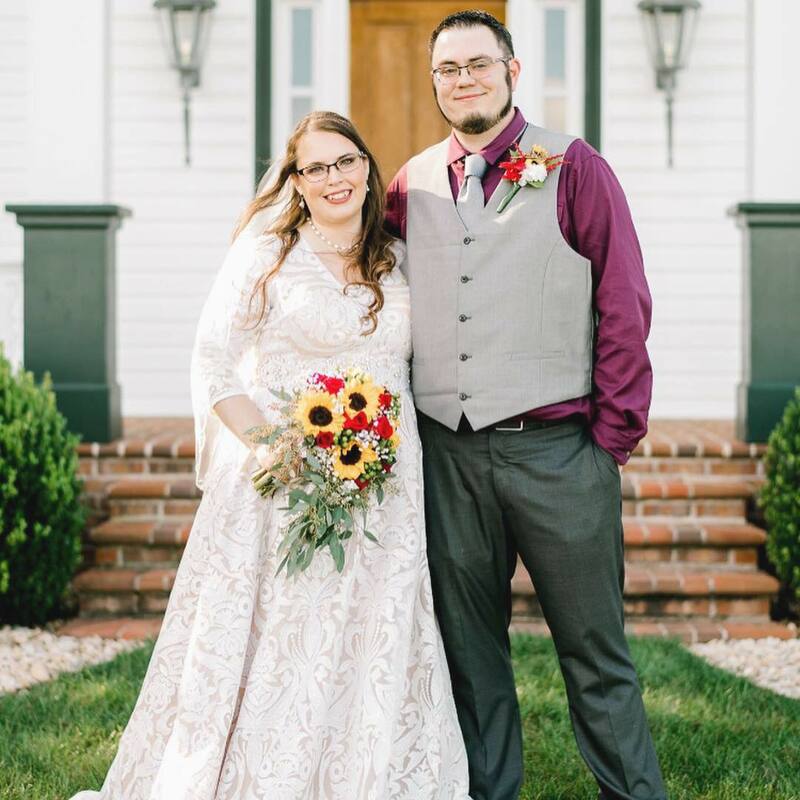 Even our ceremony came and went without much trouble at all and I was on cloud 9 and feeling almost TOO well throughout all of it. It was after the ceremony, when we were taking family photos, when it really hit me: the ever-dreaded stress let-down. Many of us migraineurs and chronic illness warriors know about the let-down flares. It happens when you’ve been sucking it up for so long, pushing through the stress and chaos without any issues, doing so suspiciously well, that when you finally sit down and rest for a fraction of a moment, you’re hit with pain and every other unpleasant symptom like a ton of bricks. 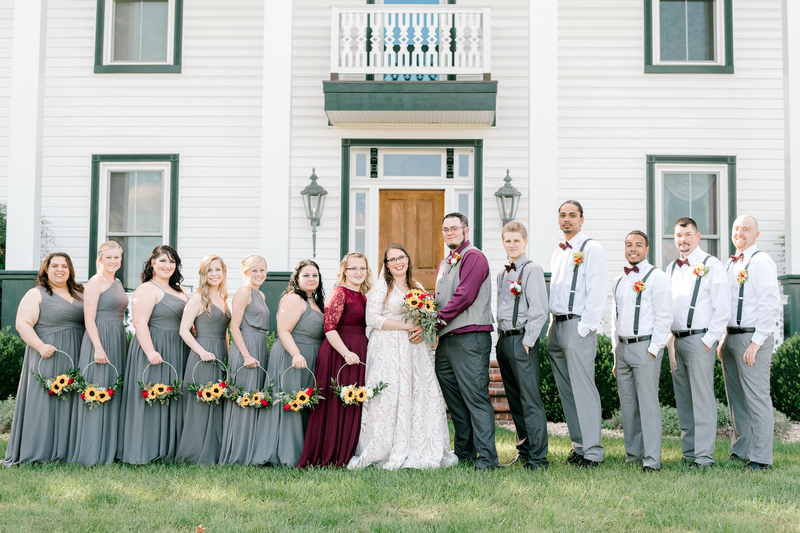 By the time we had taken all the photos we wanted, had our grand entrance into the reception, and danced our first dance, I was ready for it all to be OVER. I collapsed in my seat at our sweetheart table feeling miserable — a pounding migraine (which that booming music from the DJ did not help), nausea bubbling violently in my stomach, joints and muscles screaming. I wanted so badly to eat some of the delicious food from our caterer but I could not even bear the thought of food touching my lips. Eventually, a couple of my bridesmaids, my mom, and Trey noticed how sick I was feeling. I left the reception with Trey for a while to get some fresh air and rest on the couch in the bridal suite. By that time I was full on vomiting, had diarrhea, and my heart rate had skyrocketed while my blood pressure plummeted. A couple of my bridesmaids followed us to the bridal suite to help. Things were not looking good for me, but I had an amazing group of people to look after me and help, which I’m endlessly thankful for. They even joked that we had done my make-up perfectly, because none of it had smudged in the fury of my sickness. After the wedding was said and done and I was at home, feeling better and functioning again, I pondered what I had done wrong to trigger my being sick. Really, I hadn’t done anything wrong — I did everything RIGHT. I had ferociously prepared for the possibility of me being sick on my wedding day and it still somehow backfired. Sometimes we can do everything right but the universe still wants to teach us a lesson in one way or another. I think part of my lesson was to just simply remember how blessed I am. 1. Don’t feel the need to rush. Take the day in small increments and don’t feel like you have to do “XYZ” by a certain time. Don’t hurry the day along because you will end up feeling worse if you do. Pace yourself. Practice mindfulness throughout the day, take all the special moments a step at a time, and most importantly: have a wonderful day! 2. Stay hydrated & remember to eat. Because your wedding day goes by in a flash (yes, that little factoid that everyone says is TRUE), it’s important to stop and drink some water and have a snack throughout the day. 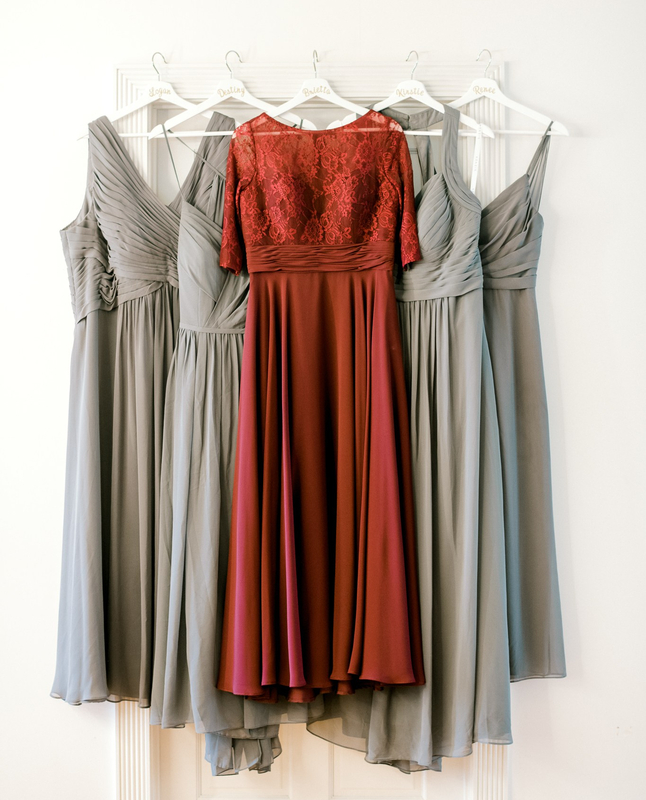 Appoint someone to remind you to do this, like your maid of honor, a bridesmaid, or your mom. Try also to not drink much alcohol or just don’t drink any at all. This can really help curb flare-ups and potential migraines. 3. Accept help when it is offered. 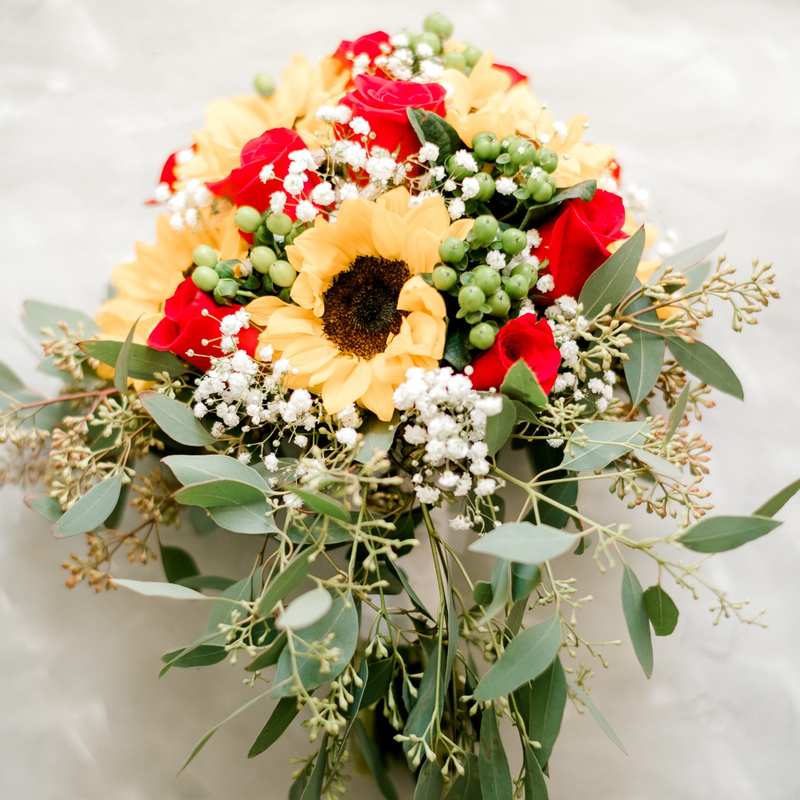 Your wedding party, family, and friends are there for YOU today! If they offer to help out in any way, take it! Whether it is helping with your hair or makeup, getting you into your dress, going out to fetch snacks or drinks, setting up decor and chairs, or anything else… today is the day you don’t want to say “no” to help. 4. Remember that it’s YOUR day. Your wedding is supposed to fit YOUR vision: it’s about you and your partner. You two are the star of the show! Don’t let anyone tell you you’re doing something “wrong” or stress you out unnecessarily over small details. If you want it that way, that’s the way it should be. It’s easy to be drawn and quartered by family to have things done a certain way, but just remember you are not required to do a darn thing other than what YOU and your partner want to do. 5. Things WILL go wrong, just accept it! 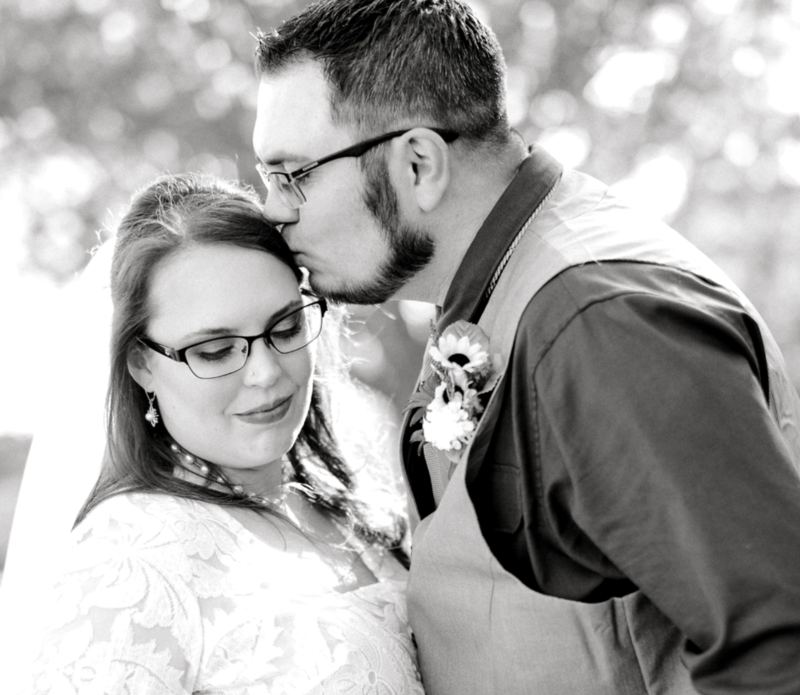 There were quite a few planned things that ended up going wrong at my wedding, but instead of stressing over them, I simply breathed, accepted the reality of it, and let it go. 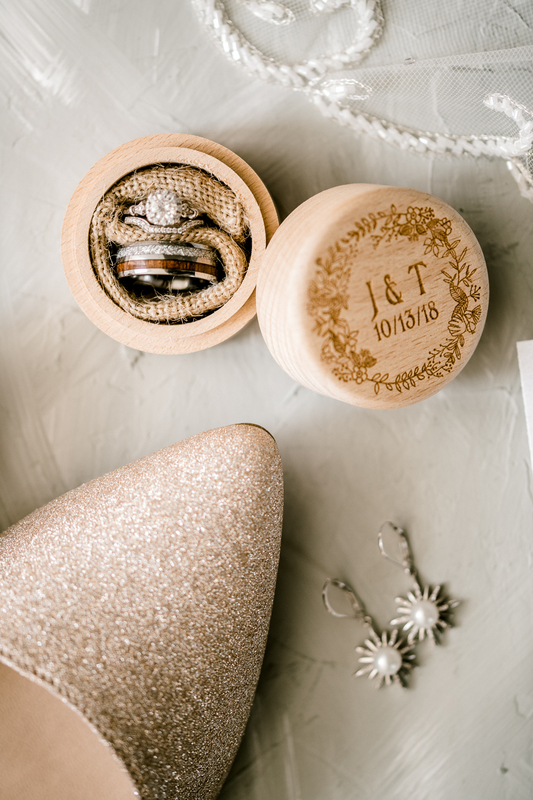 These details are not worth stressing over in the long run, and while you may feel somewhat upset that they were messed up, your guests 99% of the time will never even notice. So just accept the flukes and move on! 6. Stop for a moment & take it all in. I hadn’t initially thought to do this my entire wedding day until I fell ill at the reception. It turned out that this was one of my favorite moments, and I have zero photos or anything to remember it by other than my memory — and that is 100% okay! When I was feeling absolutely horrible at the reception, Trey took me outside for some fresh air and we went for a walk by ourselves around the farm venue. It was quiet, the air was crisp (the first cool day of autumn), and it was a beautiful evening. Having that time just us together made it all feel better, despite me feeling dreadfully sick. So this is my biggest piece of advice: in all the chaos of the day, steal a moment for YOU. Take it all in. Savor the love that surrounds you. This day only happens once, and it’s truly gone in a flash.